Can sworn enemies fight side by side to save their lives and their kingdoms? Just as spring approaches and Will and Evanlyn can finally escape Skandia, Evanlyn is carried off by mysterious horsemen. 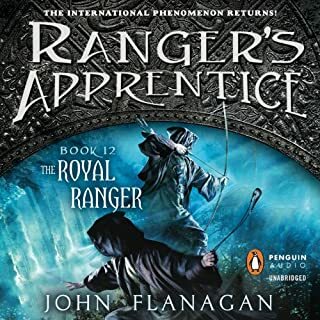 Will sets out after them, but one boy against six fierce Temujai warriors is impossible odds - even for a Ranger apprentice. Halt and Horace arrive just in time. But the happiness of their reunion is cut short when Halt realizes these Temujai are only scouts for a massive invasion force. 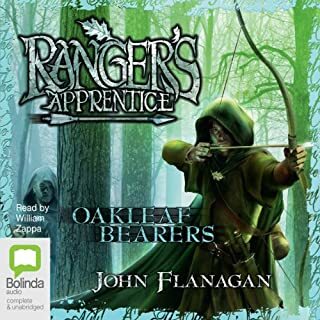 Several years have passed since the apprentice and his master, Will and Halt, first met, and Will is finally a full-fledged Ranger with his own fief to look after. The fief seems sleepy - boring, even - until Lord Syron, master of a castle far in the north, is struck down by a mysterious illness. 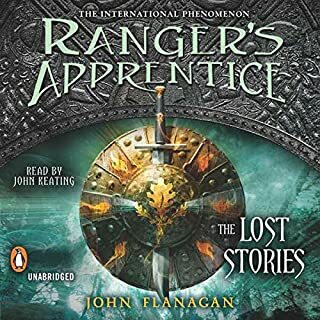 Joined by his friend Alyss, Will is suddenly thrown headfirst into an extraordinary adventure, investigating fears of sorcery and trying to determine who is loyal to Lord Syron. Will is determined to rescue Alyss - even if it means laying siege to an enemy castle. In this desolate northern fief, where can Will find the fighting men he needs to overcome the traitorous Sir Keren and his band of criminals? 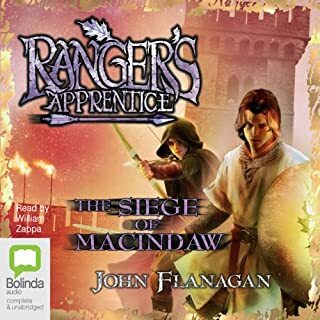 Across the border, the fierce Scotti tribesmen are waiting for the signal that Castle Macindaw is in friendly hands and the way is clear to mount a full-scale attack. Will and Evanlyn are bound for Skandia as the captives of the fearsome Skandian wolfship captain, Erak. 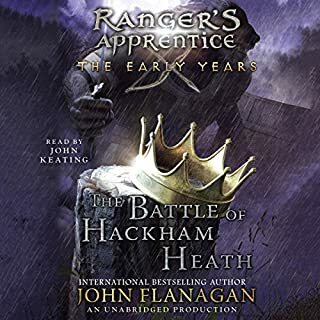 Halt has sworn to rescue Will, and he will do anything to keep his promise – even defy his King. Expelled from the Rangers, Halt is joined by Horace as he travels through Gallica towards Skandia. On their way, they are constantly challenged by freelance knights – otherwise known as thieving thugs. Mankind puts its faith in many things - gods, kings, money - anything for protection from the worlds many dangers. When a cult springs up in neighboring Clonmel, promising to quell the recent attacks by lawless marauders, people flock to offer gold in exchange for protection. But this particular group, with which Halt is all too familiar, has a less than charitable agenda. Secrets will be unveiled and battles fought to the death as Will and Horace help Halt in ridding the land of a dangerous enemy. The renegade outlaw group known as the Outsiders may have been chased from Clonmel, but not before killing Halt's only brother. 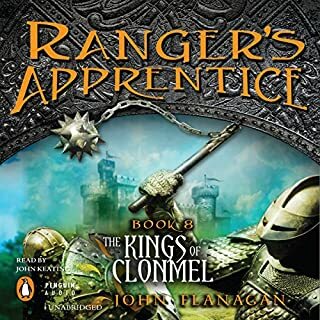 Now Rangers Halt and Will, along with the young warrior Horace, are in pursuit. The Outsiders have done an effective job of dividing the kingdom into factions and are looking to overtake Araluen. 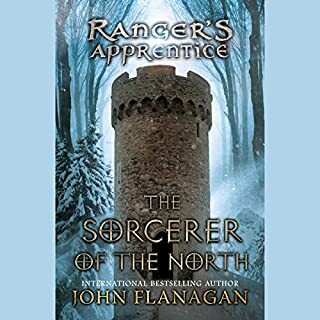 It will take every bit of skill and cunning for the Rangers to survive. Some may not be so lucky. 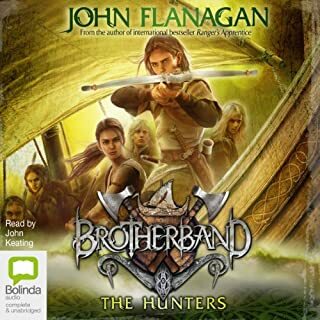 As the Kingdom of Araluen prepares for war against Morgarath, Will and Horace accompany the Ranger Gilan on a mission to Celtica. But Celtica's villages and mines are silent. Only an exhausted and starving girl called Evanlyn can tell them why: Morgarath has sent his foul creatures to enslave the Celts. 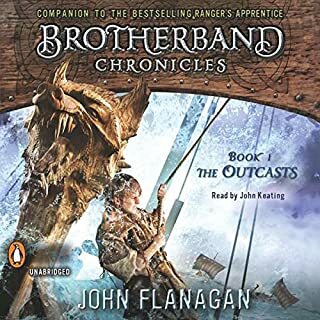 While Gilan rides swiftly back to Araluen to report this news to the King, Will and Horace discover the true purpose behind Morgarath's actions. Horace is missing. Months have passed since he was sent on a military mission to Nihon-Ja. Evanlyn is worried, and in company with Will, Alyss, and Halt, she sets out to discover what has become of their old friend. They find that Horace has become embroiled in Nihon-Ja politics. The arrogant Senshi Sect has rebelled against the rightful Emperor, who Horace supports. Now he and Will must turn farm and forest workers into a fighting force that can face the highly trained Senshi warriors. 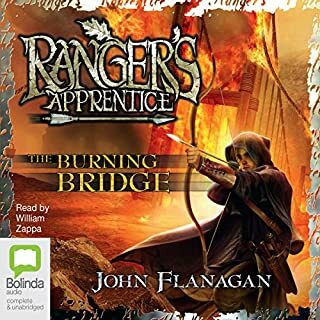 Number one New York Times best-selling author John Flanagan returns to the world of Ranger's Apprentice, beginning a new story arc starring fan favorites, Will and Maddie (Ranger's Apprentice: The Royal Ranger). 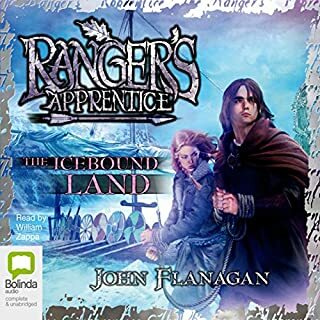 Picking up where Ranger's Apprentice: The Royal Ranger left off, this next installment continues the story arc featuring young apprentice, Maddie, and the student-turned-master, Will Treaty. The time has come for the next generation to assume the mantle and become protectors of the kingdom of Araluen. Will Treaty has come a long way from the small boy with dreams of knighthood. 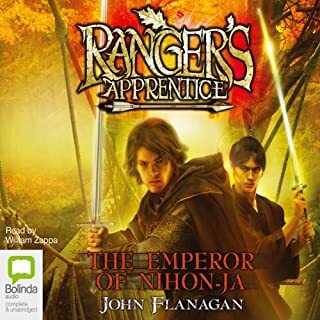 Life had other plans for him, and as an apprentice Ranger under Halt, he grew into a legend - the finest Ranger the kingdom has ever known. Yet Will is facing a tragic battle that has left him grim and alone. To add to his problems, the time has come to take on an apprentice of his own, and it's the last person he ever would have expected. Fighting his personal demons, Will has to win the trust and respect of his difficult new companion - a task that at times seems almost impossible. 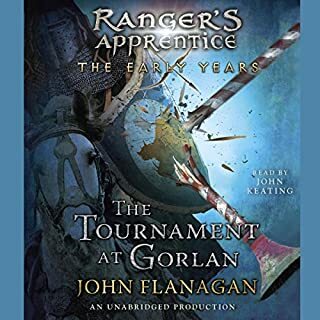 Unconfirmed accounts of a group of Araluen warriors - tales of adventure, battle, and triumph over evil - have spread for centuries throughout the known world. Most notable is a clan shrouded in mystery, phantom warriors known as the Rangers. Two names pass the lips of every storyteller: Halt, and his apprentice, Will. They and their comrades in arms are said to have traveled throughout the kingdom and beyond its borders, protecting those who needed it most. When the former Baron Morgarath escaped to avoid punishment for treason, an uneasy peace fell on Araluen. But Morgarath, now in hiding, is already planning his next move, recruiting an army of savage, overpowering beasts known as Wargals. Newly crowned King Duncan knows he must assemble his troops for battle. 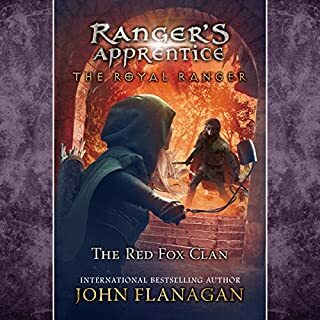 When Halt and Crowley discover that the ambitious Morgarath has been infiltrating the Rangers in order to corrupt the Corps, the young Rangers travel north to find Prince Duncan, seeking a royal warrant to stop Morgarath before it is too late. By weakening the Rangers, the most powerful force in support of the King, Morgarath plans to steal the throne. Hal and the Herons have done the impossible. This group of outsiders has beaten out the strongest, most skilled young warriors in all of Skandia to win the Brotherband competition. But their celebration comes to an abrupt end when the Skandians' most sacred artifact, the Andomal, is stolen - and the Herons are to blame. To find redemption they must track down the thief, Zavac, and recover the Andomal. But that means traversing stormy seas, surviving a bitter winter, and battling a group of deadly pirates. 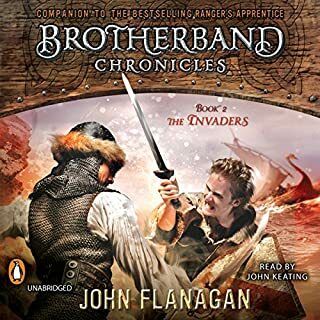 Hal and his brotherband crew are hot on the trail of the pirate Zavac and they have one thing only on their minds: stopping the bloodthirsty thief before he can do more damage. Of course, they also know Zavac has the Andomal, the priceless Skandian artefact stolen when the brotherband let down their guard. The chase leads down mighty rivers, terrifying rapids, to the lawless fortress of Ragusa. If Hal is to succeed, he will need to go beyond his brotherband training. He will need to challenge the pirate one-on-one, knowing only one of them will survive. They are outcasts. Hal, Stig, and the others - they are the boys the others want no part of. 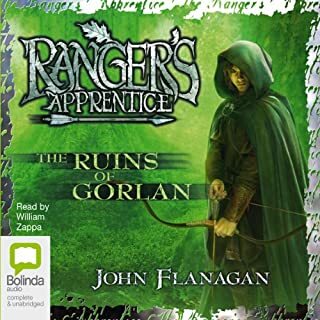 Skandians, as any reader of Ranger's Apprentice could tell you, are known for their size and strength. Not these boys. Yet that doesn't mean they don't have skills. And courage - which they will need every ounce of to do battle at sea against the other bands, the Wolves and the Sharks, in the ultimate race. The icy waters make for a treacherous playing field - especially when not everyone thinks of it as playing. 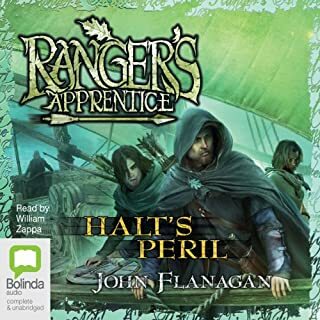 Hal and his fellow Herons have returned home to Skandia after defeating the pirate Captain Zavac and reclaiming Skandia's most prized artifact, the Andomal. With their honor restored, the Herons turn to a new mission: tracking down an old rival turned bitter enemy. Tursgud - leader of the Shark Brotherband and Hal's constant opponent - has turned from a bullying youth into a pirate and slave trader. 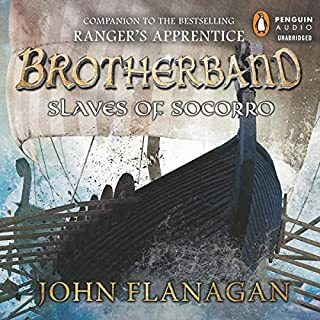 After Tursgud captures 12 Araluen villagers to sell as slaves, the Heron crew sails into action...with the help of one of Araluen's finest Rangers! What does it mean to earn the Silver Oakleaf? So few men have done so. For Will, a mere boy, that symbol of honour has long felt out of reach. Now, in the wake of Araluen's uneasy truce with the raiding Skandians comes word that the Skandian leader has been captured by a dangerous desert tribe. The Rangers are sent to free him. But the desert is like nothing these warriors have seen before. Strangers in a strange land, they are brutalised by sandstorms, beaten by the unrelenting heat, tricked by one tribe that plays by its own rules, and surprisingly befriended by another. Like a desert mirage, nothing is as it seems. Yet one thing is constant: the bravery of the Rangers.